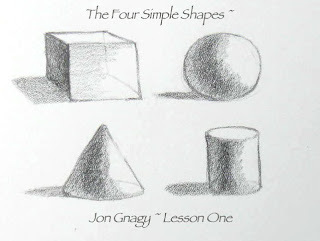 Like many other kids growing up in the 60's, I got my first Jon Gnagy "Learn To Draw" Art Set when I was around 7 or 8. Believe it or not, they are still popular today, more than fifty years later! I studied the lessons until I could draw them from memory and drew along with him when he was on TV. He was the first one to introduce me to shapes, value, composition and perspective. At the beginning of each show he would draw the four simple shapes that were the building blocks of all the others. "If you can draw these simple shapes", he said, "you can learn to draw." Jon stressed the importance of tone (or value) and said a drawing should have all three; light, medium and dark. I especially love this Jon Gnagy quote: "I believe that in the life of everyone there comes a time when the Art Spirit is dominant. You may have passed it when you were 5 or 7 or 11 years of age. 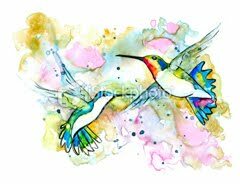 But it will come again several times in your life when you are looking for something outside your practical everyday routine". 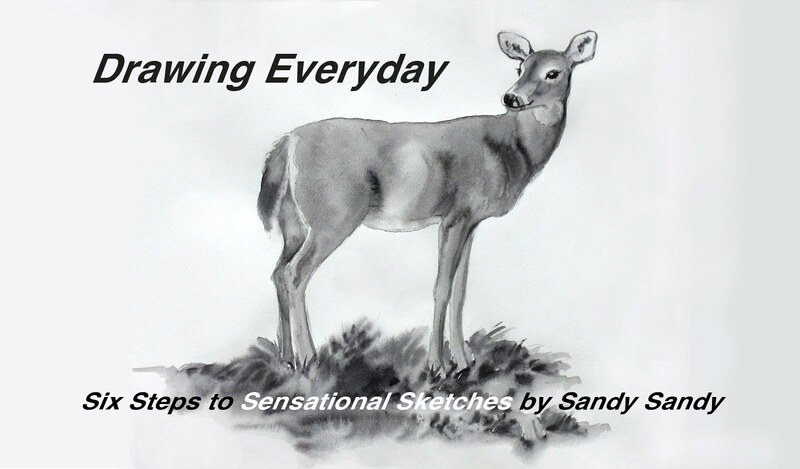 Labels: "America's First TV Art Teacher", "Draw with Jon Gnagy", "I remember Jon Gnagy", "Jon Gnagy Video", "Jon Gnagy", "pencil sketch", "Sandy Sandy Art" "Jon Gnagy Art" "Jon Gnagy Demos", "step by step drawing"
What a cool clip. Nothing like a step back in time to get inspired. I think his friendly soothing tone and confident distinctive mannerisms also helped inspire kids and adults to give it a try. I forgot how much I had learned from him until I started this stroll down memory lane.